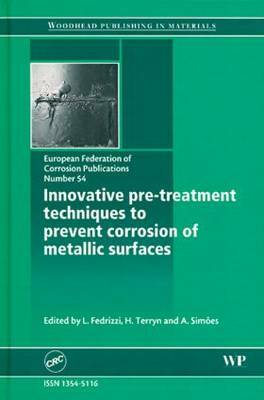 Providing a resource on effective pre-treatment techniques to prevent corrosion of metallic surfaces, this book discusses key research on the development of techniques for a range of metals. It reviews various coatings and preparation methods for aluminium and aluminium alloys such as silane films, sol-gel coatings and magnesium-rich primers, then explores the pre-treatment methods for steel, copper and magnesium alloys. The book assesses methods for monitoring the effectiveness of pre-treatments, covering dissolution-precipitation mechanisms and their electrochemical behavior. It is a valuable reference to corrosion problems and the use of pre-treatment techniques in the coatings industry.